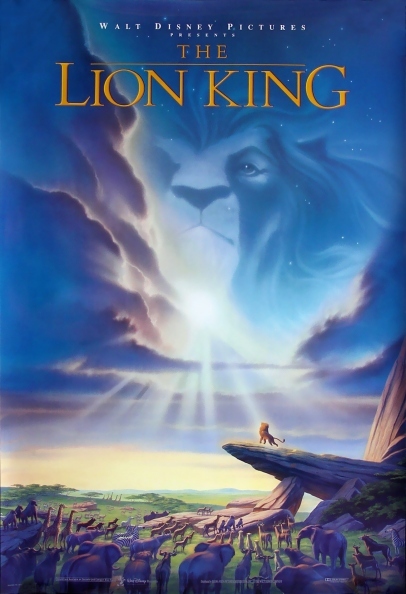 One of the house of mouse’s most sweeping and majestic musicals, The Lion King quite rightly barnstormed its way to being the most successful animated feature film of all time upon its release in the early 90’s. With renaissance musical maestro Alan Menken committed to what was considered Disney’s more important project, Pocahontas, it was left to Tim Rice and Elton John to come up with the soundtrack for the movie, with Hans Zimmer supporting them with one of his finest scores to date (and all three bagged Oscars for their troubles). Whilst some of the songs are less progressive to plot and character and more incidental than some of the musicals higher on this list, there is still a great amount of diversity and vitality to the numbers on offer. For every pausing Can You Feel the Love Tonight and philosophical Circle of Life there is the decidedly Broadway-esque I Just Can’t Wait To Be King and peppy Hakuna Matata. It’s not Disney’s most assured or sophisticated use of song, but there’s no doubting even after nearly 20 years The Lion King is one of the most complete and emotive musicals put to celluloid, animated or otherwise. Steals the Show: Jeremy Irons droll, borderline-camp take on the main antagonist Scar brings some subtler and deadpan humour to proceedings. Very few musicals on this list have as everlasting and enduring an appeal as Singing in the Rain, and it is difficult to envisage any such countdown not featuring it somewhere. Whilst it is not a personal favourite, there is no denying its longevity and staying power, containing as it does so many iconic visual and audio vignettes that continue to be recognised and utilised to this day (the titular musical sequence was revamped and edited for use in, of all things, a Volkswagen commercial as recently as 2005). It is atypical of its time, in particular its self-fascination with the Hollywood process of yesteryear, but this is not a bad thing, with the whole production becoming a joyous hybrid of stage, film, musical and drama, and one that to this day still looks and sounds sumptuous. 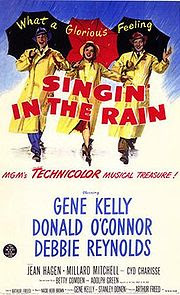 Steals the Show: It is in many ways Gene Kelly’s finest hour, and definitely one of his most iconic and lasting performances, so it would be a crime to give this honour to anybody else (even Cyd Charisse and her fabulous legs). Oliver! 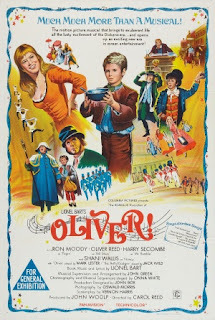 has the undesirable issue of being a film adaptation of a broadway musical based on a book which had already been adapted to film several times prior, including David Lean’s seminal Oliver Twist 20 years prior. Despite all this pre-existing baggage, and uncertainty on how it would be received, the film was a deserved success and went on to perform the rare feat for musicals of snatching the Best Director and Best Picture academy awards. As well as the instantly catchy and infinitely hummable soundtrack featuring such musical staples as “Consider Yourself” and “Food, Glorious Food” the film boasted extraordinary production design and choreography in particular which belied it’s mostly confined studio shoot. A pitch-perfect cast including inspired performances from the younger cast (although the decision to dub Oliver’s singing by one of the producers daughters is still seen as overly effeminate by many to this day) brought Dickens’ tale to life in glorious, timeless musical splendor. Steals the Show: Ron Moody in making Fagin a decidedly more entertaining, endearing and empathetic figure than he could have been (and was in the original novel), and Jack Wild for his vibrant, cocksure Artful Dodger. Fresh off her star-making and oscar-winning turn in Mary Poppins, Julie Andrews swiftly moved on to cement herself as the queen of the 1960’s musical scene with her equally memorable turn here. 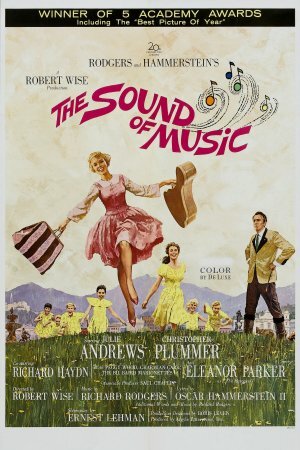 From one of the most parodied and referenced movie openings of all time through to its Nazi-besting denouement, The Sound of Music is full of more classic musical moments and numbers than you can shake a Nun’s habit at. As the final Rodgers and Hammerstein musical (the latter dying of cancer nine months after the original stage productions Broadway premiere) it is fitting that is has seeped into the cultural psyche and motion picture history so indelibly. For generations to come musical lovers will be pondering how to ‘solve a problem like Maria’, pondering which are a few of their ‘favorite things’ and ‘Do-Re-Mi’ing their way up ‘Ev’ry Mountain’. Steals the Show: It seems like a cop-out to opt once again for the lead, but Julie Andrews is far too endearing and radiant as Maria to have anyone steal the limelight (even the marvellous Peggy Wood in her final film role as the wise, gentle Mother Abbess). As with Mary Poppins, Andrews is the light, heart, soul and voice of the film. The most recent entry on the list, Hairspray, much like the stage show from which it was adapted is an excessively joyous, shamelessly over-the-top and irrepressibly endearing explosion of colour, humour and song. Boasting a deceptively witty and referential soundtrack by Marc Shaiman, Hairspray throws subtlety out the window from the get-go with its heightened 60’s aesthetic, cross-drossing lead role and spunky, satirising cast of misfits and social outcasts. Whilst it does add depth to its narrative by bringing in some biting social commentary on equality of race and gender in particular, and uses it’s bubbly, loveable protagonist to overturn any misconceptions of size and weight, this is a film which is at its best and most effective being loud, colourful and genuinely funny, with some genuine toe-tappers and show-stoppers along the way, including two brilliant tracks both opening and closing the film in the form of the excellent “Good Morning Baltimore” and “You Can’t Stop The Beat”. 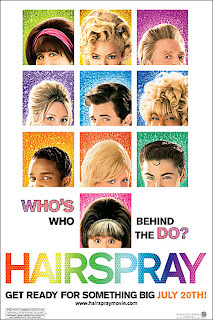 If the main prerogative of the movie musical is to entertain, Hairspray is one of it’s greatest torch-bearers. Steals the Show: Whilst everyone’s attention was fixated on John Travolta’s scenery-chewing lead turn as Edna Turnblad (a performance that loses much of its irony and rawness from the stage version), there were more noteworthy supporting turns from the likes of James Marsden as the charismatic, crooning Corny Collins, Christopher Walken as the quirky, goofy Wilbur and in particular Alison Janney who gives a great comedic turn as Penny’s overbearing mother with relatively little screentime. Personally i cant see how hairspray could beat out firstly The Sound Of Music, one of the most endearing and best loved musical's of all time and secondly The Lion King, which is not only Disneys best selling movie of all time but again, one of the most popular musicals of all time. In my opinion, hairspray has an extremely limited and uninteresting plot, which draw's too much from its predecessors and seriously fails in bringing anything fresh or original to the musical genre, which the two i stated previously have been known to be more than enough of. Did you read my summary at the start of the previous post? I did say personal bias factors into this and it's an amalgamation of all different perspectives. Buuuut I deliberately ranked Lion King lower because as a musical it is a) very sparing with its musical sequences - there are only 5 in the whole film and 2 of them are entirely diegetic and b) the numbers it does have aren't as progressive or revealing. Hairspray can be critiqued for a lot of things but every single one of the musical numbers advances plot or reveals character often in a highly satirical fashion. There are much more effective Disney musicals in the top 10. And to be honest I kind of hate Sound of Music anyway, I think it is the most derivative musical out of all of them on the list and so atypical and by-the-numbers Rodgers and Hammerstein, but I ranked it where I did because I'll accept its legacy and place in cinema history. In terms of plot though it is, like the Broadway play, a very forced and almost cloying adaptation of the 1956 German film 'Die Trap Familie' that is saved mostly by Julie Andrews and a great soundtrack. Nostalgia has gotten it a lot of it's current kudos. 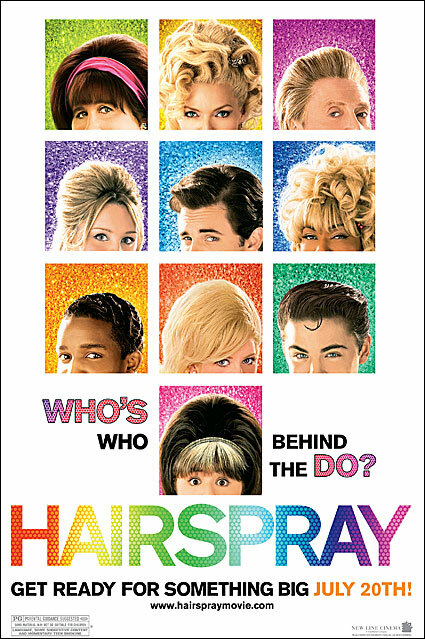 Hairspray gets extra credit for it's soundtrack being so laden with intertextuality and satire that the film borders on being a parody of itself. Psh :P as long as Disney makes it to the top ten, i swear if you put tangled in there i will have to take out war on this blog because tangled has the WORST use of song i have ever encountered. The Little Mermaid and Beauty and the beast are extremely song driven, and id probs place them highest. Pocahontas really didnt need the music to tell the plot if im honest. By worst, i mean its not needed. Beauty and the beast utalises music as its ploy to open the film, and end it, tangled pops it in here and there to lift the mood of an otherwise nice but basic storyline. I love tangled as much as i go on about it, but it still lack's the mastery of the 90s classics.